Disney recently released a lot of info about its upcoming 2014 film slate and with it, some news that its new Marvel animated film Big Hero 6 has added Chris Williams as a co-director. Also, Roy Conli has replaced Kristina Reed as the film’s producer. Chris Williams is a long-time Disney veteran, having both written and co-directed the 2008 film Bolt for the studio. Before that, he worked as in the story department for Mulan, The Emporer’s New Groove and Brother Bear. After Bolt, he was slated to direct King of the Elves, but that was cancelled and shelved a while ago. Recently, he did voice the trading post owner, Oaken, in Frozen. It’s good to see Williams finally attached to a project that we’ll actually see in theatres. Obviously he’s been involved in a lot of projects behind the scenes (he hasn’t been sitting around twiddling his thumbs), but it’s going to be great to see him in the director’s chair again. However, whether Don Hall, Big Hero 6‘s other co-director, is excited about this, who knows. We never really get the inside scoop about how the original director feels when suddenly it’s decided the film needs a second one. Disney did this same thing recently with Frozen: Chris Buck was the solo director until it was decided about a year and half before Frozen‘s release to bring in the film’s screenwriter, Jennifer Lee, as a second director. Who knows when these two changes happened. They could have happened months ago, for all we know. Whatever the timeline, let’s hope that this doesn’t mean that Big Hero 6 is facing production troubles. It’s a film that many Disney and Marvel fans are anxiously waiting to see and it would be a shame if the film was pushed back. Most likely, these changes are for the better and will ultimately make the film even better for its November release date. 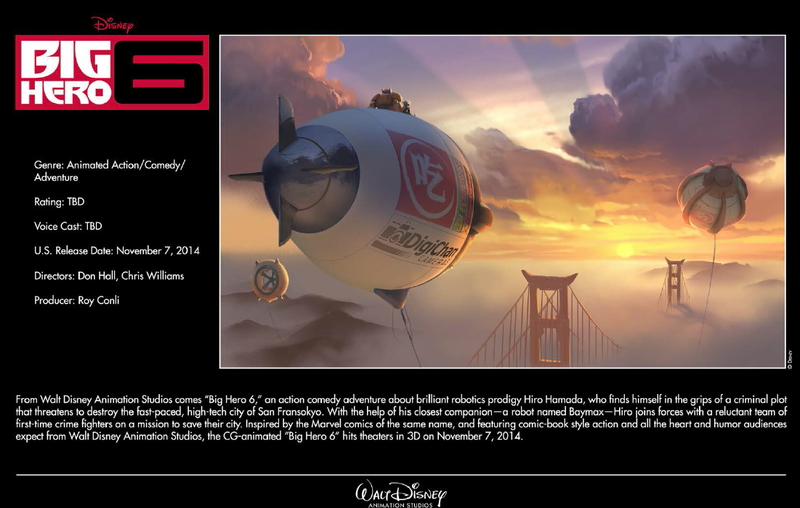 Big Hero 6 opens November 7, 2014. What do you think of the new director and producer? 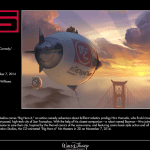 Is this a sign that trouble’s brewing behind the scenes for ‘Big Hero 6’?